With the introduction of Reliance Jio in the industry, other telecom service providers got disrupted in the market. The Mukesh Ambani-led company is coming up with all new mouth-watering offers one after another. Meanwhile, in a major push on Friday, the company has overhauled most of its existing prepaid plans to woo its customers. The new refurbished plans are a part of Jio's 'Republic Day offer,' a statement released by the company read. Jio's Rs. 198, Rs. 398, Rs. 448 and Rs. 498 prepaid recharge plans now come up with different validity periods and are offering 2GB per day data to its customers. Jio's prepaid recharge plan priced at Rs. 198 is offering 56GBs of 4G high speed data for a period of 28 days with a daily cap of 2GB per day data. This prepaid recharge plan also offers unlimited local, STD and roaming voice calls. Customers also get subscription to host of Jio apps and 100 free SMSes with this prepaid recharge plan. Jio's Rs. 198 prepaid recharge plan is valid for 28 days. Jio's prepaid recharge plan priced at Rs. 398 is offering 140GBs of 4G high speed data for a period of 70 days with a daily cap of 2GB per day data. This prepaid recharge plan also offers unlimited local, STD and roaming voice calls. Customers also get subscription to host of Jio apps and 100 free SMSes with this prepaid recharge plan. Jio's Rs. 398 prepaid recharge plan is valid for 70 days. 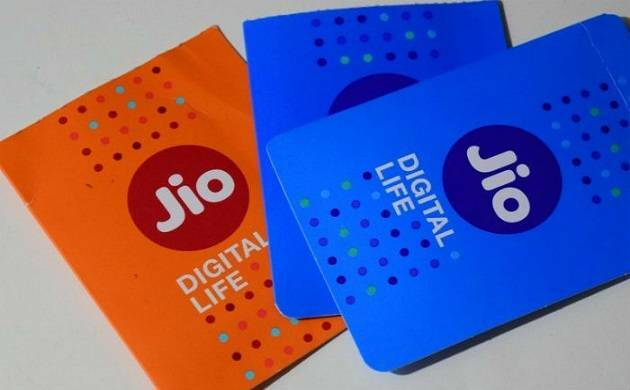 Jio's prepaid recharge plan priced at Rs. 448 is offering 168GBs of 4G high speed data for a period of 84 days with a daily cap of 2GB per day data. This prepaid recharge plan also offers unlimited local, STD and roaming voice calls. Customers also get subscription to host of Jio apps and 100 free SMSes with this prepaid recharge plan. Jio's Rs. 448 prepaid recharge plan is valid for 84 days. 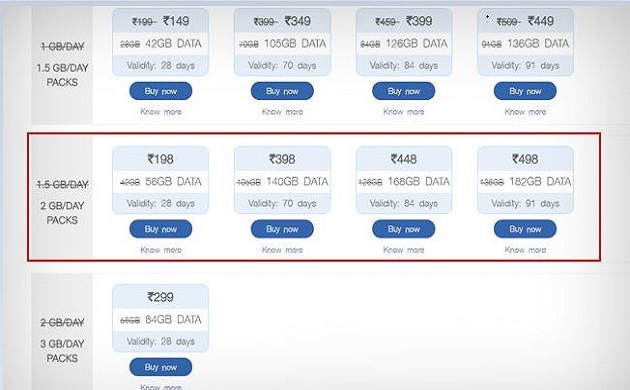 Jio's prepaid recharge plan priced at Rs. 498 is offering 182GBs of 4G high speed data for a period of 91 days with a daily cap of 2GB per day data. This prepaid recharge plan also offers unlimited local, STD and roaming voice calls. Customers also get subscription to host of Jio apps and 100 free messages with this prepaid recharge plan. Jio's Rs. 448 prepaid recharge plan is valid for 91 days. Moreover, the telecom giant is starting its Republic Day offers from a very affordable price of Rs 98. Jio has also a slew of long terms and sachet packs as well along with 4GB, 5GB daily data plans. Hence, on the occasion of Republic Day, Mukesh Ambani has given all reasons to its customers to cheer further and currently internet freaks are feeling on top of the world. Customers need to check on Jio's website or on MyJio app to know more details about other exciting offers.